It is estimated that over 160 million people have died in wars from the 20th and early 21st Centuries alone. Enough is enough! The image represents a truce; a coming together of both sides of each war, fought in the name of religion, race, ethnicity and political perspectives. 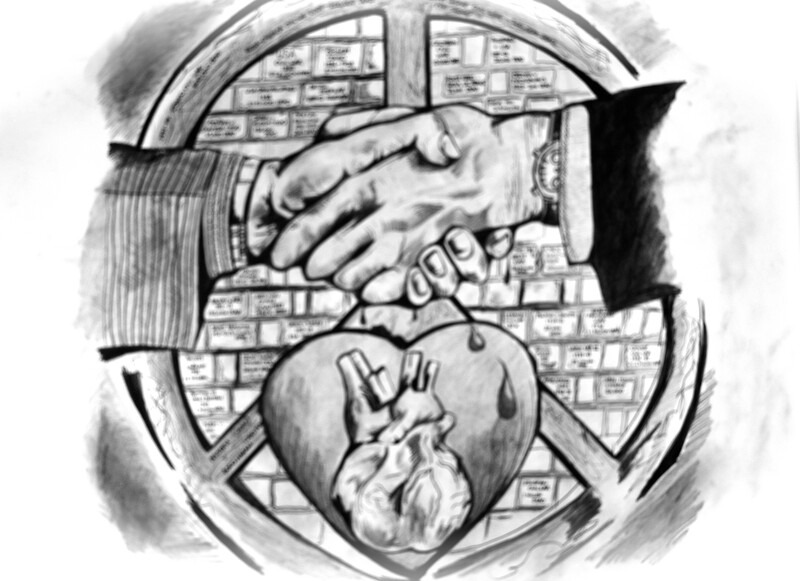 The handshake is the action to signify this change, the bleeding heart represents the heartbreak felt by millions of loved ones, family and innocent people caught in the crossfire of war. The love heart represents the healing and on wall behind are listings of the many life changing wars fought all over the world.